Once walking around a fitness center, I started to notice a lot of workout enthusiasts wearing their earbuds, one of those was a big guy with cables hang around, other with Bluetooth earbuds. While the big guy pushed his dumbbells up, his earbuds fell out, oh, no he might have chosen wrong earbuds for his time in the gym. 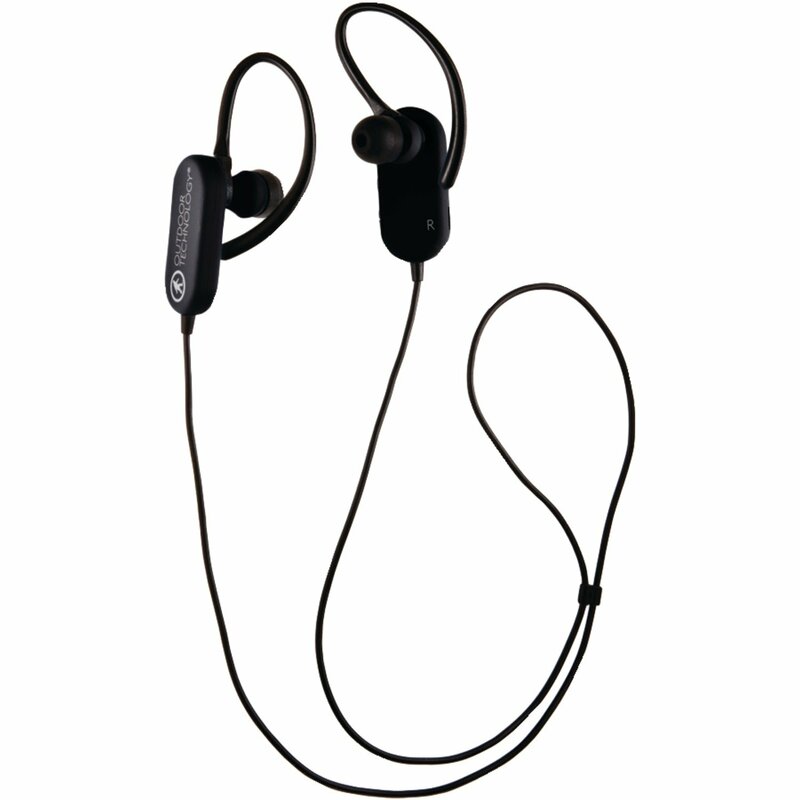 To lessen the chance earbuds falling out in your intensive workout sections, some workout earbuds are designed with additional parts such as sport hooks, clip, adjustable loops–also called hangers, or neckband. The sport hooks will enclose around your ears while the clip or loop will go behind the ear. And the neckband will rest on your neck, those styles will define whether you feel comfortable to wear. You can hear a lot of noise at the gym, which may distract you. But not all exercise earbuds have a good noise-isolation, a safe feature intended by manufacturers. This feature relies largely on the eartips‘ shape, size and material, which can seal the sound in your ears or let the ambient sound come in, if the noise isolating performance of eartips is worse, which leaves your ears quite open to the surrounding. Here are our top picks for best earbuds – in ear headphones for working out. Keep in mind that we considered, style, fitting, comfort as well as sound quality. Among these factors, perhaps the sound quality, comfort and secure fit are the most important factors while wireless connection via Bluetooth is secondary if you don’t like the wire. Enjoy music and stay motivated for your successful workout. Though the cables can get caught in clothing, snagged by your hand or working out equiments, wired earbuds offer better sound quality compared to Bluetooth earbuds with the same price tag. For just around $100, you can find a good set of wired earbuds for working out. Here are five worth buying. 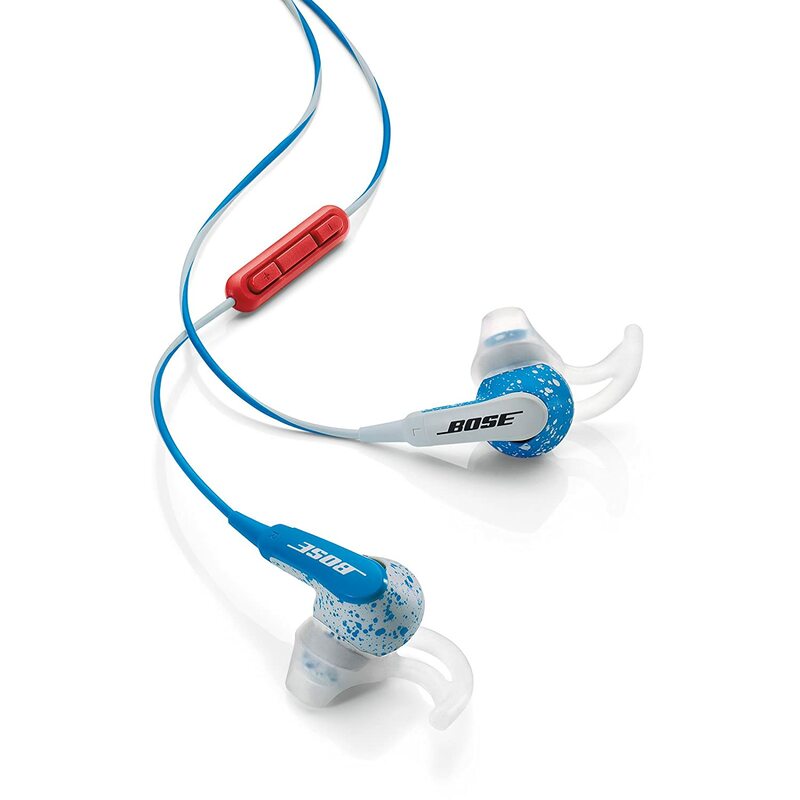 The Bose FreeStyle has a stylish and colorful design to suit your workout clothes. The eartips fit least shalow into the ear cannal in our top picks, giving users comfortable wear, and the wing will contour ergonomically to the ear to keep earbud stay evenly and securely. It offers deep and clear sound for all kinds of workout music you pump into. It is safe to say it is a smooth sounding and well-balanced in ear headphones with good bass response. It is durable enough to withstand to rough conditions-well, you sweat a lot. If you workout in a noisy environment and don’t like noises that distract you, these earbuds are not for you since they are not that good at keeping the ambient noise out. Cosidering it is a exercise earbuds, the Sennheiser CX 685 offers excellent sound quality with rich bass and crisp treble. It is designed to survive in moiture and sweat conditions. The eartips have a pretty good noise-reduction effect. Along with other features, it doesn’t feature inline mic, and you have to adjust volume on your phone or mp3 players. 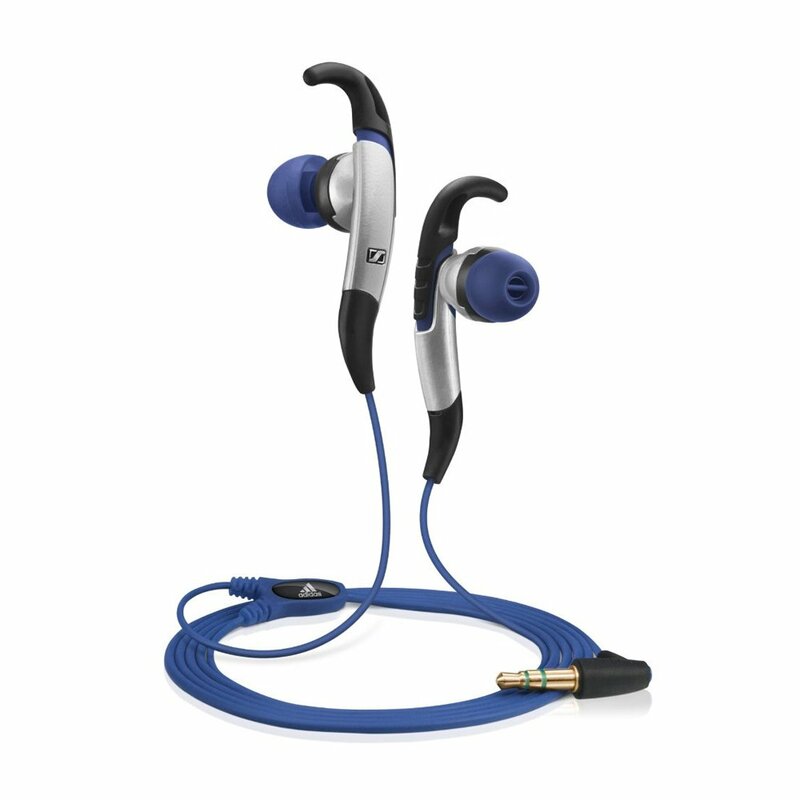 Another great workout earbuds, yet afforable is the MDR-AS41EX. It has the blendable soft hangers that will fit around the ear. Those loops can be removable too, you may only need them in the gym, elsewhere it turns out to be a regular earbuds. Even though you get excessive sweating, it would not be damaged. Pushing, lifting or whatever, they still stay right in your ears. In terms of audio performance, it sounds decent but I feel it has a lack of bass. 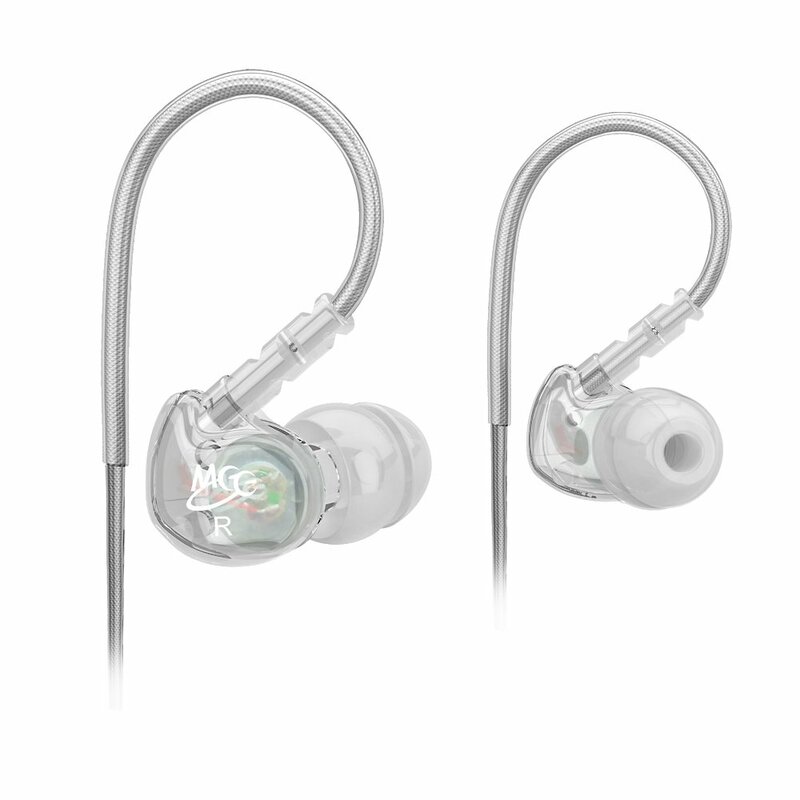 The MEElectronics M6 is a well-constructed and comfortable earbuds. By design with loops which let users wear over the ear , it is less prone to microphonics– the sound caused by movements of cable. First time users be aware of that it takes time to adapt to the fitting. For working out, the Meelec M6 is a steal, it sounds great for the price. It has a decent bass, I would say it is a little bit deep and controlled. The treble is quite extended but still pleasant. Lastly, all over ranges sound is clear and easily caught up by your ears. Though the eartips provides both a secure fit and long-lasting comfort, it doesn’t isolate well the ambient noise. This is a plus if you want to know what’s going around while you exercise. 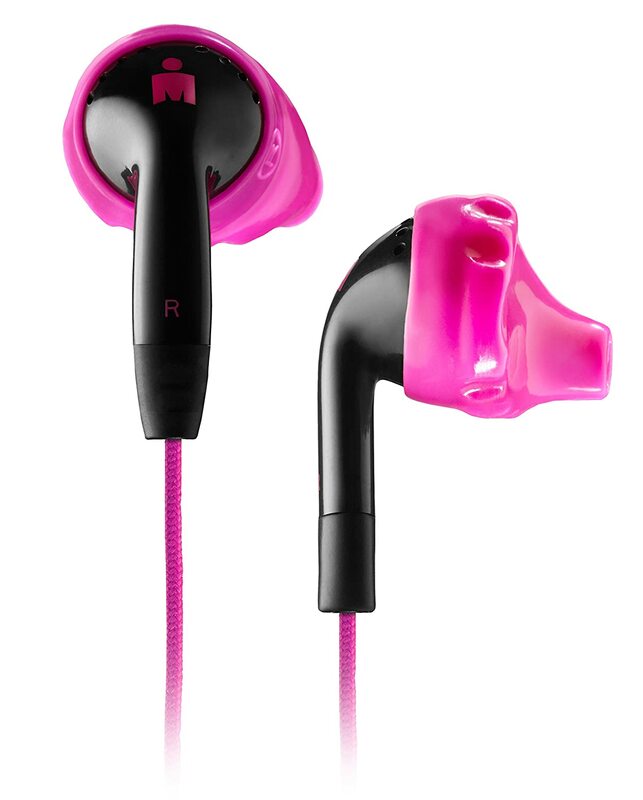 It has sweat and water resistant design ensures that the earbuds endure through moisture and sweat. Specifically designed for women, it is availabe in differenct colors for your to choose from to match to your outfits. If you don’t like the cable, just cut it by picking a set of Bluetooth earbuds for working out. They can wirelessly stream your music from your phone or smart watch. Wireless workout earbuds’ battery can last more than 6 hours for streaming music. Remember to re-charge them before going to the gym. 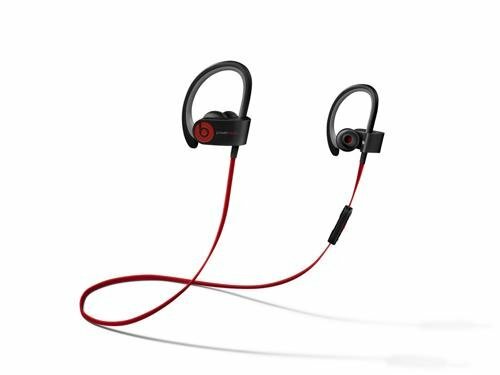 The Beats Powerbeats2 Wireless is a workout-focused Bluetooth earbuds with a bass response that is a satisfactory for basshead-who like a lot of bass in their music. Brilliantly, that powerful bass doesn’t interfere other ranges to remain the detail in music. Available with white, red, and black, an now you have more color options since Apple recently added new models customized to Apple watch band’s colors. The ear hooks can be bendable to the shape to fit around the ear. It’s comfortable and you won’t feel weighty at all. Like Bose Freestyle, the “open” fit will let the ambient sound in. Given a choice between Beats and JayBird, you would choose Jaybird if you like a clearer sound, less bass, better noise isolation, and cheaper price. Of course, it also sounds more nature than Beats. And unlike beats using blendable earhooks around the ear, the soft wing attached to BlueBudss may not fit nicely to the shape of your ears. But once you get the right size, these wings really work — keep earbuds stick well to the ear. 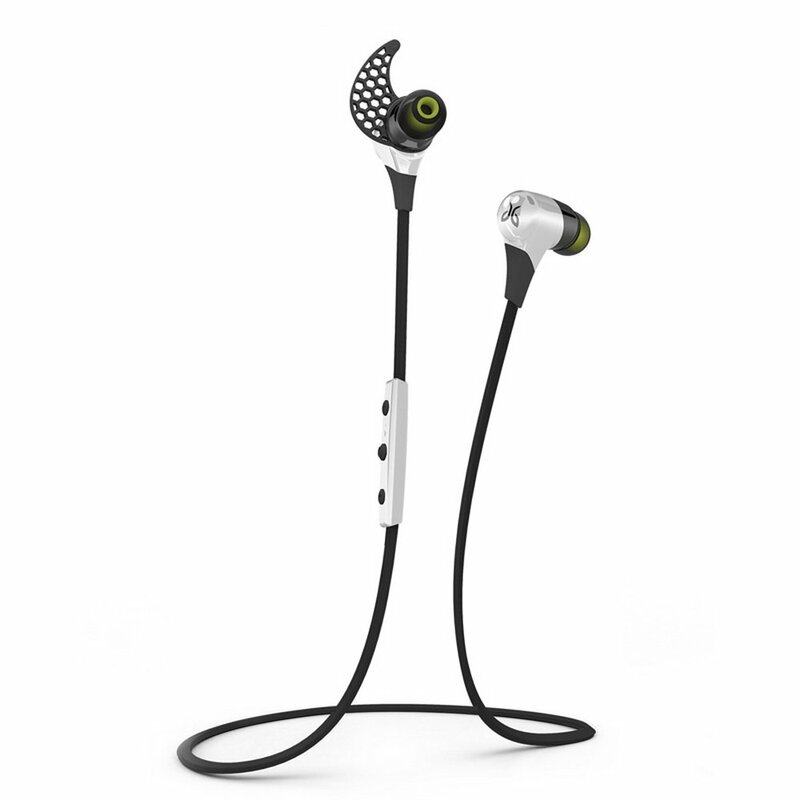 The JayBird BlueBuds X was ranked as best Bluetoot earbuds for running, so was it for working out. The OT1000 Tags is another set designed specifically for your workout. However, its sound quality is an average of things, and the bass is somewhat missing. In addition, it is not a balanced sounding headphones, playing some acoustic music the OT presents its drawback in detail and sound separation, and for the treble it likes a sharp cut through the peak. As that’s said, it is a Bluetooth headphone so you have to sacrifice the audio performance over the convenience, ease of use and appealing design. For casual listening in the gym, you certainly find this pair sound identical to wired earbuds come packed with smartphones. The Soundpeats Qy7 comes with an affordable price. 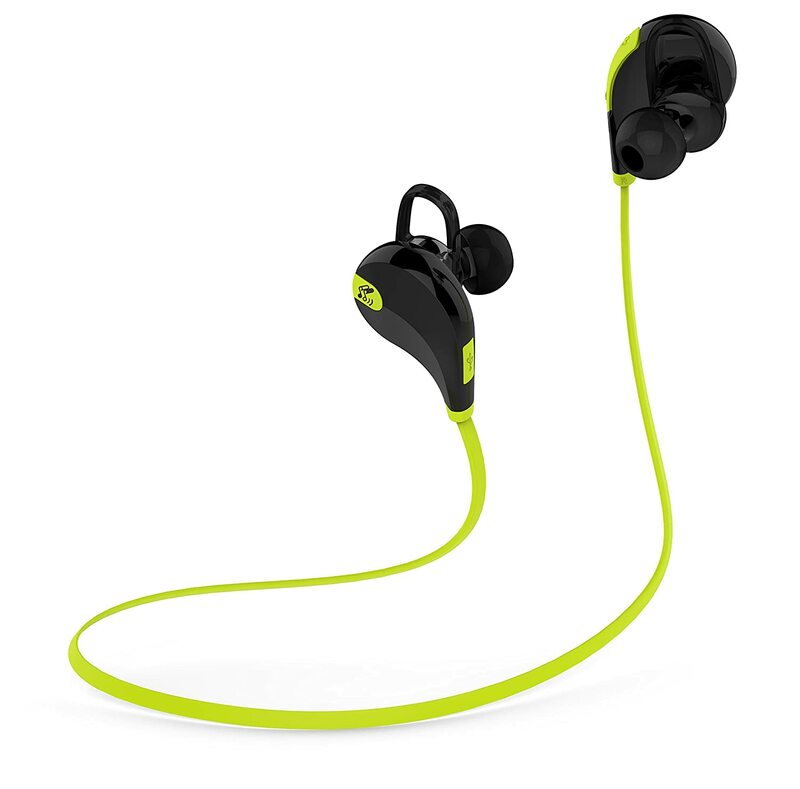 It is lightweight and does the job for your workout, seal the sound in and stick well to the ear. It is rather large and not be a suitable set for those who have small ears.